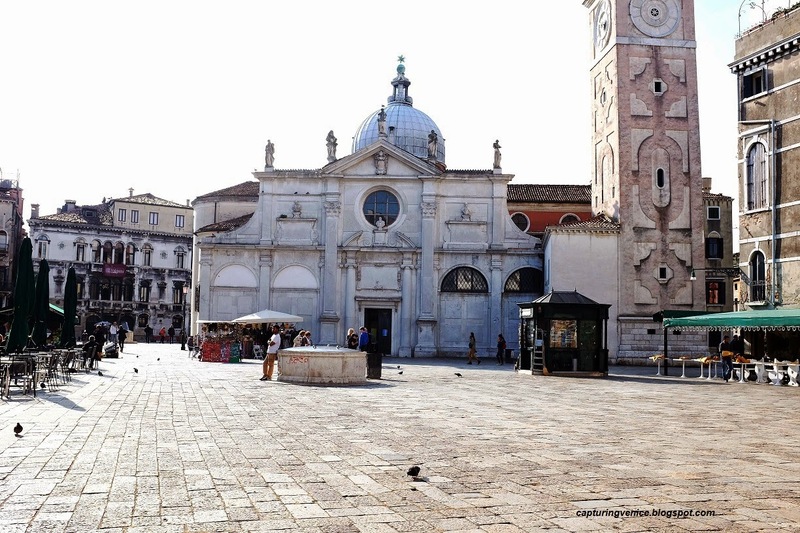 One of the largest and liveliest of the Venice's many campi is Campo Santa Maria Formosa. The church has two facades - this one, facing the campo, has a broad plain facade which was built in 1604. The campanile was built from 1611 - 1688, and in between is a plain, box-like building, now an oratorio. It was originally home to Scuola de la Purifacazione (1601) which later combined with the Scuola dei Fruttaroli in 1684. 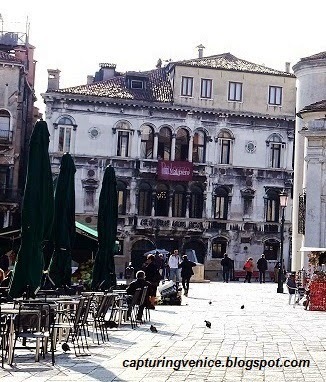 In the background, to the left of the church, is the Renaissance Palazzo Malipiero Trevisan. The palazzo was once home to Doge Pasqual Malipiero, the 66th Doge of Venice (serving from October 1457 to his death in May 1462). The building is now a hotel. Merci bien, Les Idees Heureuses.